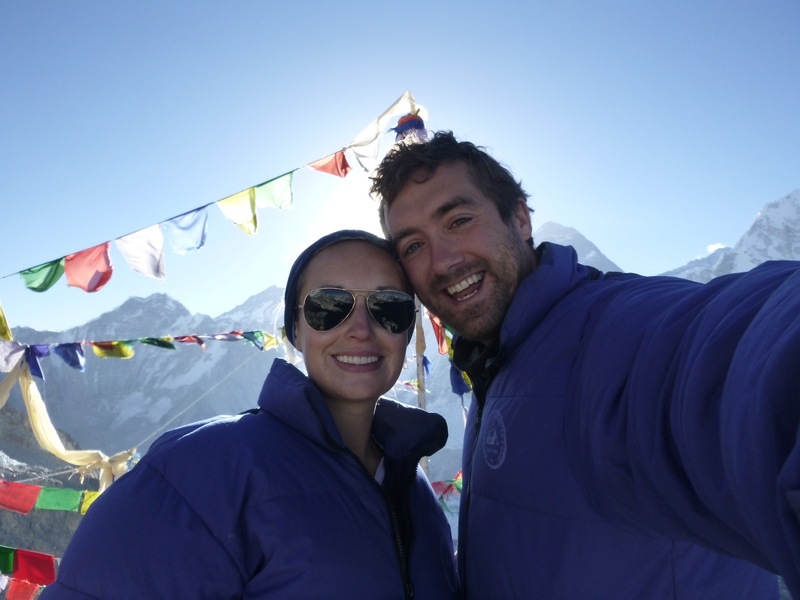 Matt and I have the honour of writing a guest blog on the lovely Lemon’s travel website – thanks guys! We sadly left Jack and Debs at the Sunset Cove hotel in Koh Phangnan where they will continue to stay for one more night before moving on to another resort on the beautiful island. We, however, had to spend the sunny Friday on a 10 hour epic journey back to Bangkok, travelling on planes, ferries and automobiles. 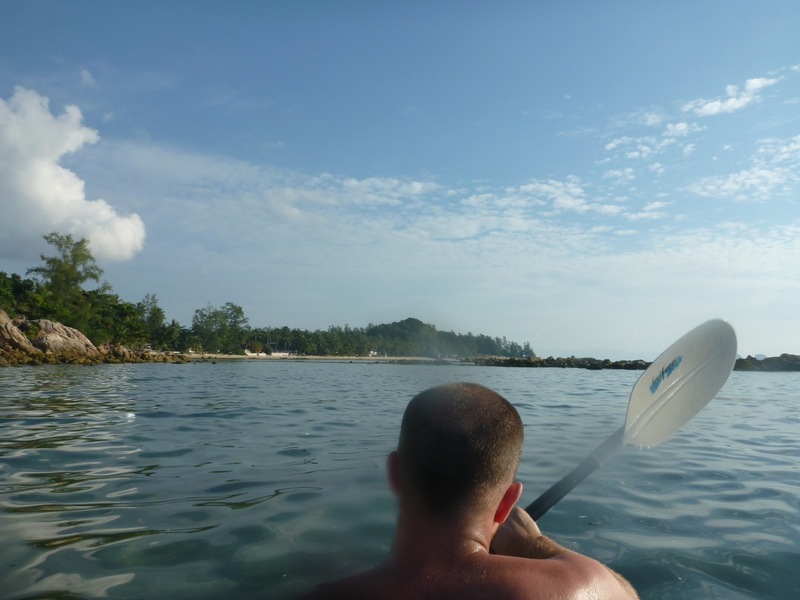 We absolutely loved Koh Phangnan – I’d say it was the highlight of our trip. The island is stunning – picture perfect – I’m really going to miss the sunsets especially. It was great seeing the Lemons at the end of our trip and the beginning of theirs. We bumped into them on Wednesday, sunbathing by the pool at the hotel as we were checking in. Shortly after we were all enjoying our first Chang of the day at “beer o’clock” – 2pm. It continued to be a brilliant day and hilarious evening – you can read the detail in Jack’s recent update but listening to the old skool sounds of Dre and Eminem blasting out of a beachside bar was a perfect end to a perfect day. 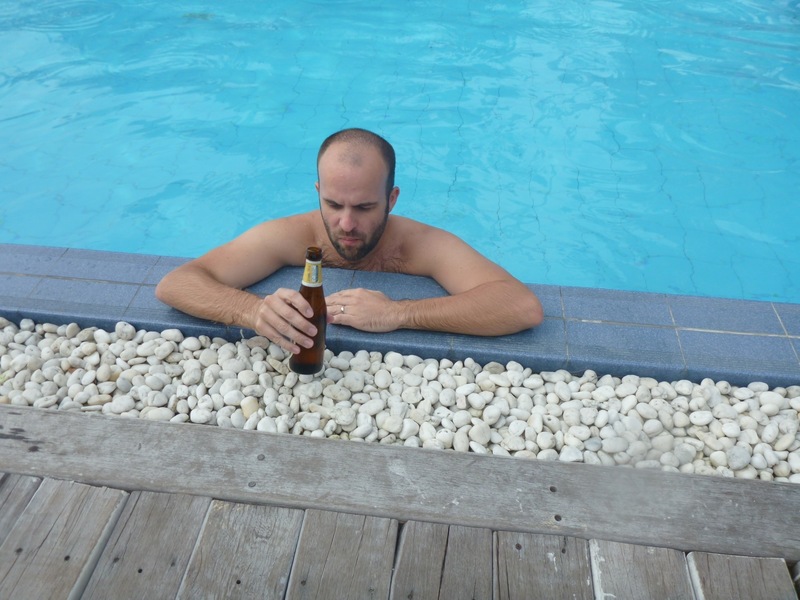 The last full day of our stay in Koh Phangnan was fantastic doing absolutely nothing other than developing some impressive sunburn in the scorching sun and occasionally dipping in the pool to cool ourselves down. Matt and Jack took the kayaks out to sea for a couple of hours. Debs and I thought the length of time they were gone was pretty impressive until we discovered their adventure was spent more out of the water than in it. They apparently found a good bar on the next beach along after spotting some naturists on a nudist beach and also fighting jelly fish by prodding and poking them with their paddles. Good work boys! We finished our day with a delicious meal on the beach at a posh Italian where we also enjoyed a rare treat of a glass of red wine. It was slightly chilled and surprisingly enjoyable. A couple of cheeky cocktails later and we all crashed out and went to bed. Thanks so much to both of you for such a fantastic couple of days. We leave Koh Phangnan knowing how to correctly pronounce Haad Salad (i.e. it’s not like Chicken Salad), we return to Bangkok knowing how to correctly pronounce the Kao San Road (for those who are interested, apparently there’s a great explanation on Wikipedia), but we return back to the UK with more incredible holiday memories. It was absolutely brilliant to see you and we can’t wait to keep reading about your adventures and to see you when you’re back!